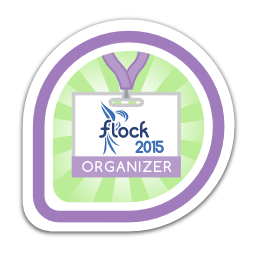 You were an organizer of the Flock 2015 conference -- a huge responsibility! First earned by rsuehle on 2015-08-13. Last awarded to decause on 2015-08-13.